If you like sleek cars with lots of cool buttons in them, then the LA Auto Show is the place to be. CNET has more. 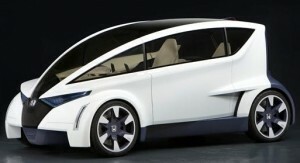 Some are hot, and some of them are a total dorkfest, like this toaster on wheels from Honda.